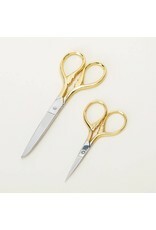 These elegant scissors from Studio Carta feature a lion tail motif on their handles. 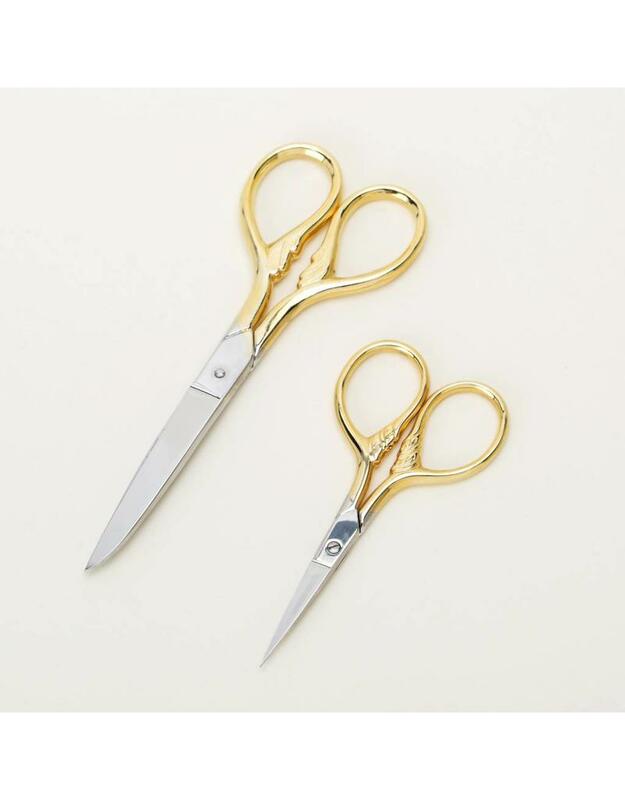 Made from hard-tempered steel and applied with a thin layer of 24-karat gold-platting on the handle, they are sure to stand out on your desk. 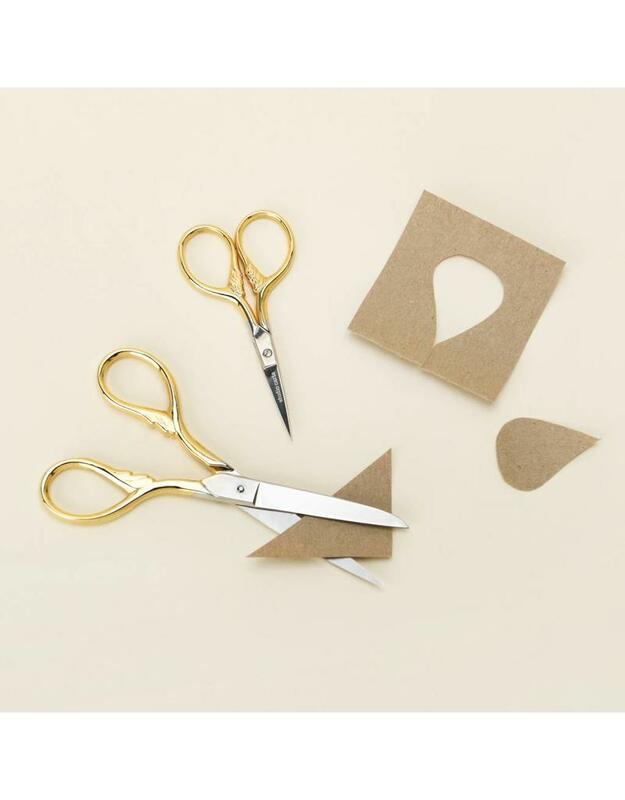 Perfect for cutting textiles or paper. Large measures 5". Small measures 3.5".